bishop to reside in Texas. is named in his honor. The Perkins School of Theology Archive collection of Dean Paul B. Kern’s papers includes fifty-eight eight-by-ten black-and-white photographic portraits of Methodist bishops. The photographs form a complete set of images of pre-1844 Methodist Episcopal Church bishops and pre-1924 bishops of the Methodist Episcopal Church, South (MECS). These images are not standard studio portraits, but photographs of similarly composed illustrations with ethereal backgrounds produced by Elmer T. Clark in 1924. 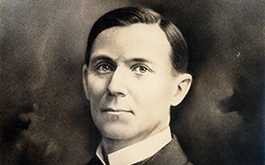 Elmer Talmage Clark (1886–1966) was a pastor, author, editor, administrator, and historian who served the MECS and the Methodist Church for more than fifty years. A graduate of Hendrix College, Birmingham-Southern College (B.A. ), George Peabody College for Teachers (M.A. ), and Temple University (B.D. and Th.D. ), Rev. 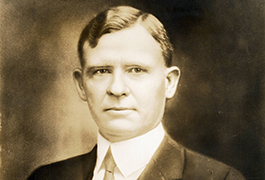 Clark served charges in the St. Louis Conference of the MECS from 1909 to 1918. 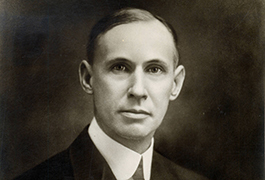 Following the war, Clark worked as a denominational executive in Nashville and New York until his retirement in 1952. In 1924 when Clark produced and distributed the bishops’ portraits, he was the publicity and editorial secretary of the MECS Missionary Centenary Commission, a church agency that raised more than fifty million dollars in support of home and foreign missions. Clark later served as assistant secretary to the General Board of Mission (1926–1938) and editor of World Outlook (1939–1952). 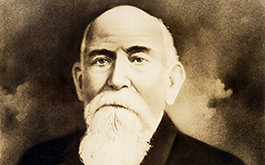 During the last two decades of his life Clark led the Association of Methodist Historical Societies and the American section of the World Methodist Council. 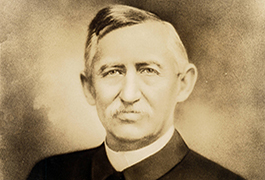 In 2010-2011, Bridwell Library produced an exhibition of selected portraits titled “Ten Texas Bishops: The Elmer T. Clark Portraits.” To learn about the Paul B. Kern papers at Bridwell Library, please read the finding aid posted at Texas Archival Resources Online. 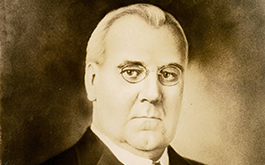 For more information about the Elmer T. Clark Portraits of Methodist Bishops at Bridwell Library, please contact Bridwell Library Special Collections.